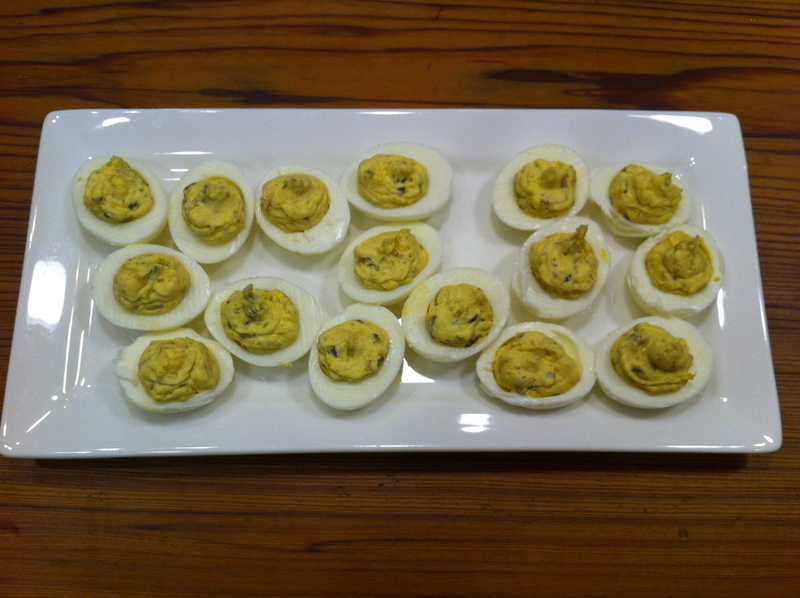 Almost any time you look in my refrigerator you will see a platter of deviled eggs. Hubby likes them as a snack or even breakfast if he's in a hurry. Doesn't that get boring? Not the way I make them, because I almost never make them the same way twice. Here is my basic recipe as well as a few variations. First, boil some eggs. 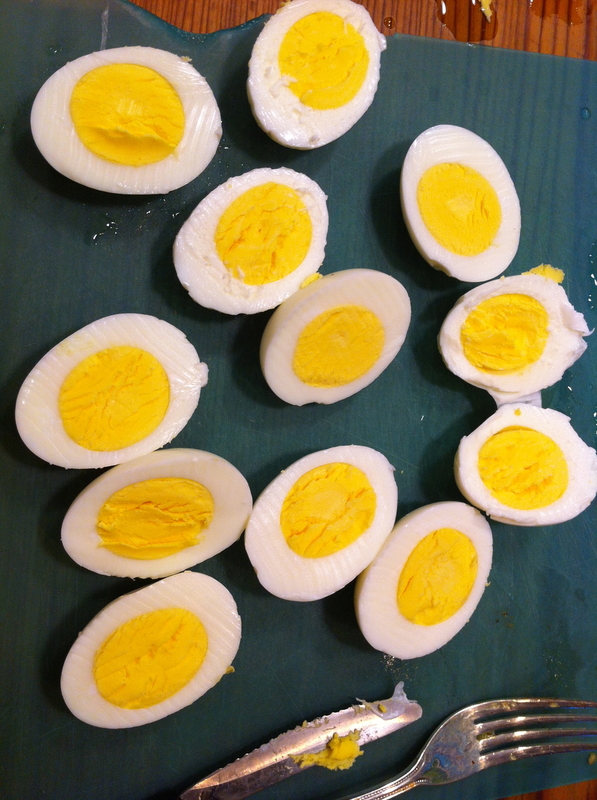 When they are done, peel them and slice them in half lengthwise and gently remove the yolk from the white. 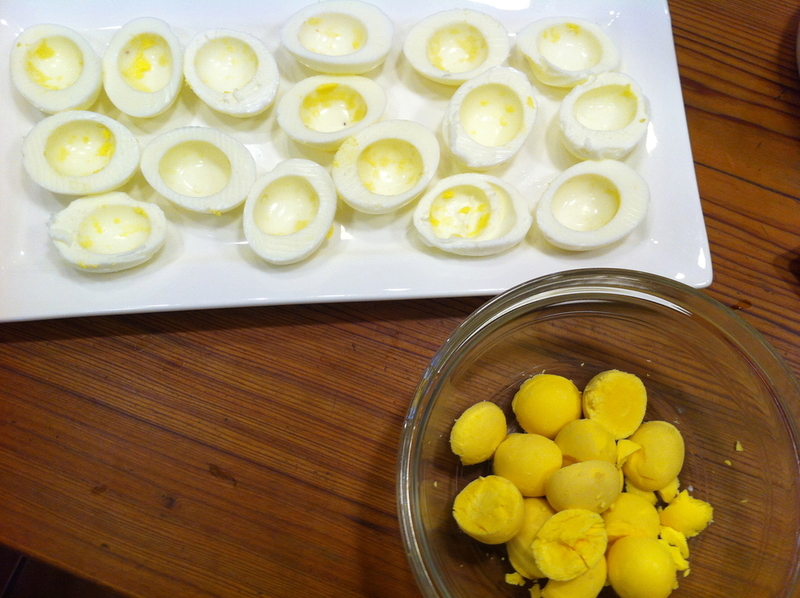 Put all the yolks in a bowl to mix the filling. The basic ingredients I put in all my deviled eggs are mayonnaise, mustard, and a touch of sweet relish. The amounts you use will vary depending on the number of eggs you are making as well as your own personal preferences. I am a mustard girl, so I go heavy on the mustard and lighter on the mayonnaise. The taste is important but so is the texture. so make sure it is smooth and not too dry or too wet. Now comes the fun part! How do you give them some zing? Today I added roasted hatch green chili peppers. I was going to put in some jalapeño, but my taste test told me it was spicy enough without them. Add salt and pepper to taste and you're done! The easiest way to stuff them is to use a resealable plastic bag. 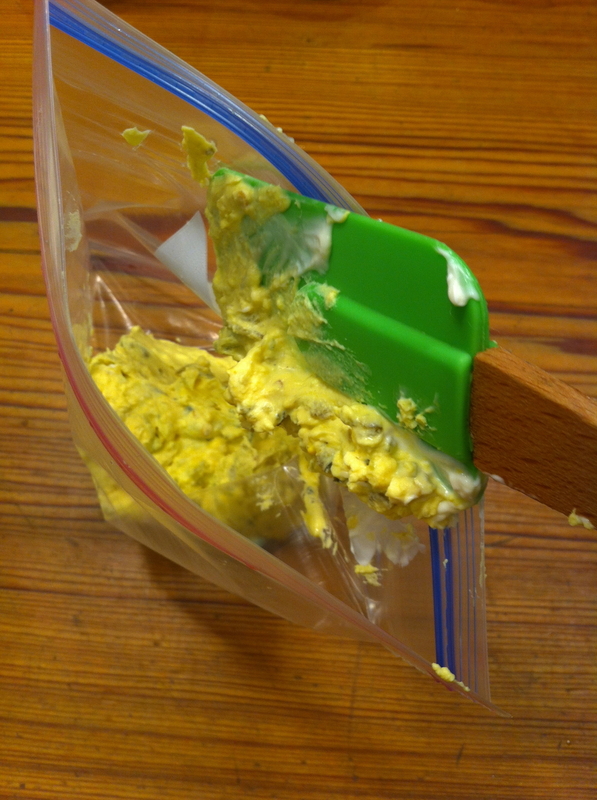 Just snip off a small piece of one of the corners, fill with the egg mixture, then squeeze gently into the eggs. As you can see, we like things on the spicy side. That's why I use the sweet relish. I think the touch of sweet is really good with the hot. If you don't like spicy food, try using dill relish instead of sweet and adding your favorite fresh herbs. Posted in In The Kitchen and tagged with deviled eggs. August 15, 2012 by Lynn Adams.